What Is Advanced Massage Therapy? Massage Therapy is the assessment and planned treatment of soft tissue (muscles, ligaments, tendons) and the joints of the body. It provides relief and prevention of physical dysfunction and pain. Therapists apply soft tissue manipulation and some joint mobilization techniques to assist the body’s efforts to heal and relieve pain. Our therapists are all certified in the 2200 hour program and are constantly upgrading by taking extra continued educational courses. They all have extensive knowledge of the human body and are trained in how to best treat all musculoskeletal conditions and dysfunctions. 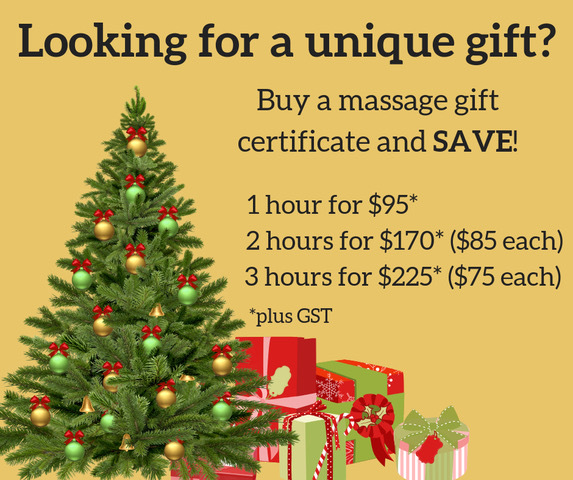 Currently in Alberta, not all massage therapists are trained in the same manner. Our massage therapists have undergone the highest level of training and therefore our clinic is able to be bill under extended medical coverage, WBC claims and MVA claims. Light, smooth, gliding techniques are used to ease muscle tension and help relax any sore and tight muscles. A must to help soothe away any tensions of the day. Generally starts with a full body assessment and will focus mainly on treating any injury or painful areas the patient may be concerned about. Using different techniques and methods, the therapist will target and focus on the dysfunctional muscle to help eliminate pain, increase range of motion and balance out the human body. This treatment may take a few sessions and usually stretches and/or exercises may be recommended for home. Two of our practitioners are also trained in an intra-oral technique to address TMJ syndrome. Using firmer pressure, the therapist will target certain muscles that may cause dysfunction and restricted range of motion causing pain in the human body. The ultimate in relaxation, enjoy de-stressing with hot stones being placed on certain points on the body while the therapist massages key areas with them to help soothe those aching and tired muscles. A gentle type of massage used to help naturally stimulate the lymphatic system. This will help detoxify and eliminate waste products in the human body. This treatment is very useful in patients with swelling, immune conditions or reduced circulation. Massage therapy can be used safely throughout the entire pregnancy. Our massage therapists are trained in pregnancy massage and have knowledge and experience of areas to avoid or take caution during all stages of pregnancy. Massage can help with any aches or discomforts you may feel as your body goes through these changes, while leaving you feeling refreshed and relaxed for the new addition you are about to receive. This is a massage treatment that incorporates stimulating specific acupressure points on the feet. Through application of pressure on these reflexes, reflexology relieves tension, improves circulation and helps promote the natural function of the related areas of the body. Rehabilitative taping technique that is used to support the muscles and joints. It is used to improve the natural healing process without restricting the body’s range of motion and circulation. This is used to treat pain, edema and as a preventative measure.